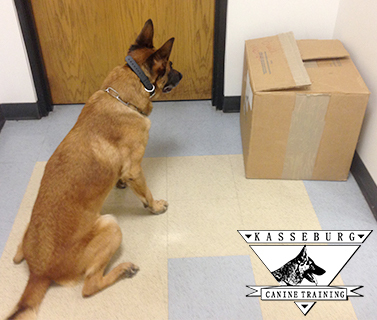 Kasseburg Canine Training Center supplies only the highest quality canines for law enforcement and security work. Our dogs have the drives and traits to get the job done, and each of our dogs are hand selected to excel in their disciplines. Our patrol dogs have strong fight drive, a will to work and are still social enough to have around others. Each dog is hand tested and selected by Kasseburg Canine staff before coming to Kasseburg Canine Training Center. Learn more about our Patrol Dogs by clicking here! Our detector dogs have all shown intense hunt drive during selection testing. Our dogs are usually trained as passive indication dogs, and their focus will amaze even the most seasoned handlers. Learn more about our Detection Dogs by clicking here! 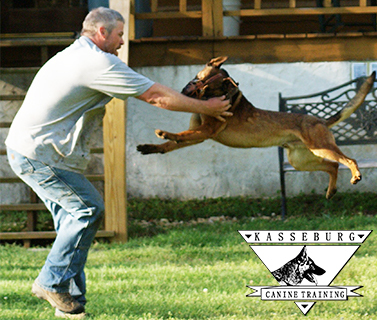 Kasseburg Canine Training Center offers consultation and contracting services. If you need dogs to work at your location or event we are here to help. We have several clients for whom we have worked explosives detection dogs and we are happy to get you in contact with our references. Learn more about our Consulting and Contracting Services by clicking here! 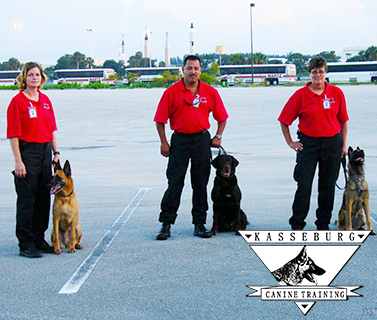 Kasseburg Canine Training has worked with hundreds of agencies and clients both in the United States, and outside the United States. Here are some of our clients.